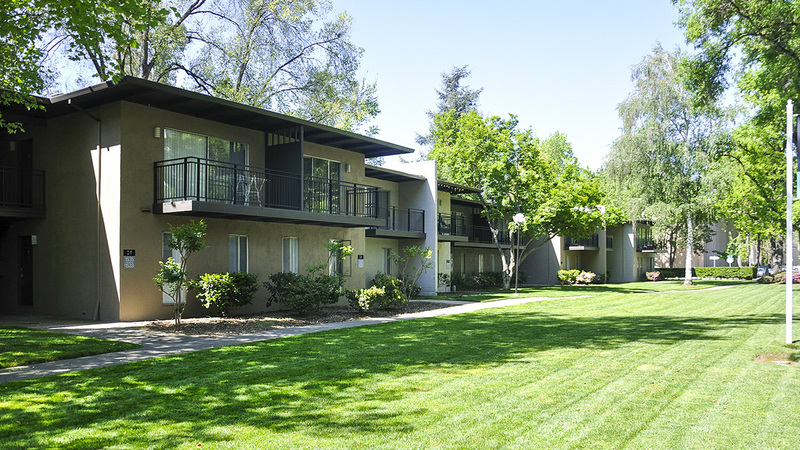 Located in downtown Sacramento on approximately ten acres, this multi-family residential complex was one of the first privately sponsored urban redevelopment projects in California and reflects Garden City principles. 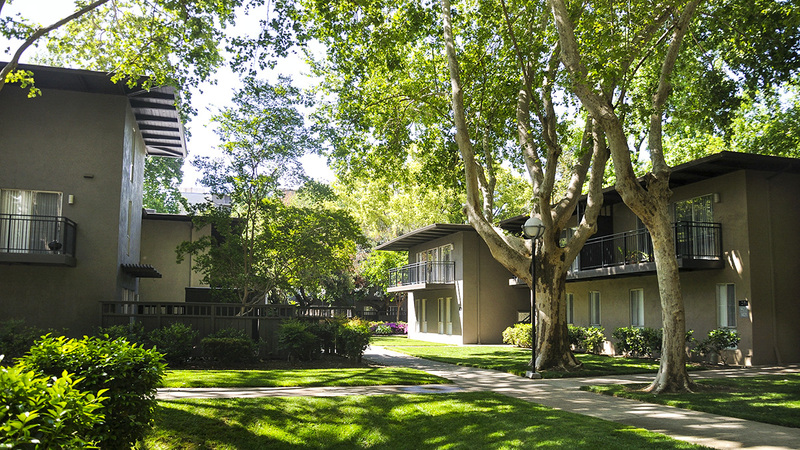 Constructed in three phases between 1959 and 1965, the pedestrian-oriented site features a high-rise tower, eight low-rise garden apartment buildings, three laundry/lounge buildings, and one parking garage. 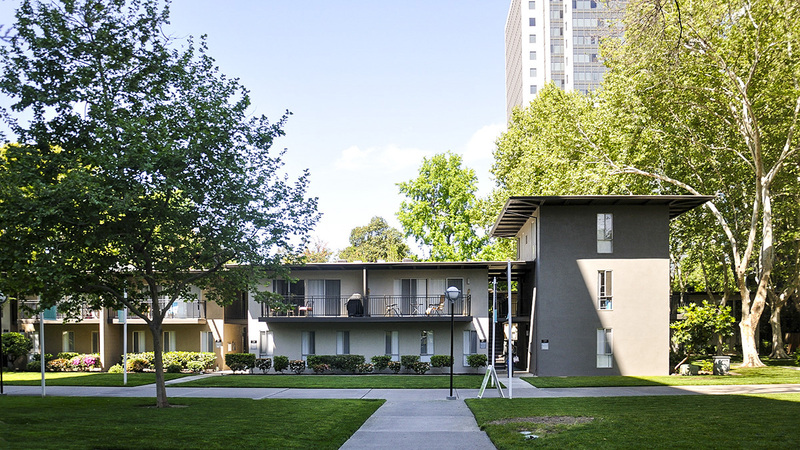 The architecture firms Wurster, Bernardi, and Emmons, Edward Larrabee Barnes, and DeMars & Reay, along with landscape architect Lawrence Halprin, collaborated on the site’s design. The property consists of three parcels that form a stepped, irregular site plan. The eastern half extends the full length of the block (along 7th Street), the north and south boundaries stepping inward until they meet the western boundary. 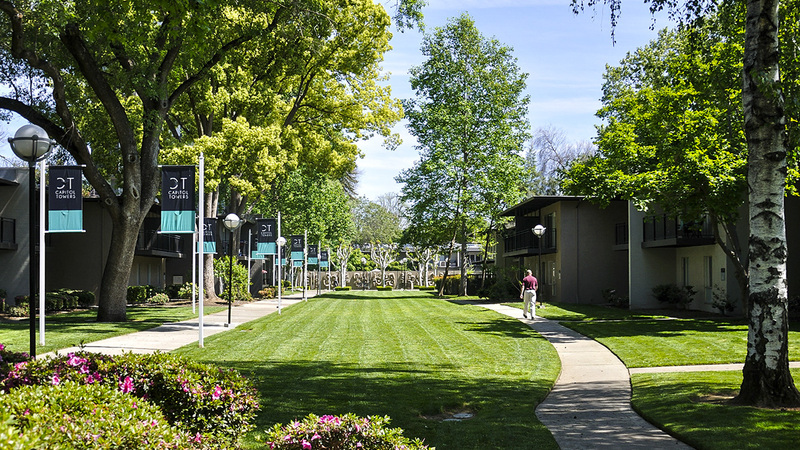 Rectilinear pathways that echo the city’s former street grid were integrated into the site plan, dividing it into four quadrants. Lining the perimeter streets are low-rise apartment buildings, lawns, and mature trees. Automobile and service uses are relegated to the periphery, while the interior is reserved for communal pedestrian uses. 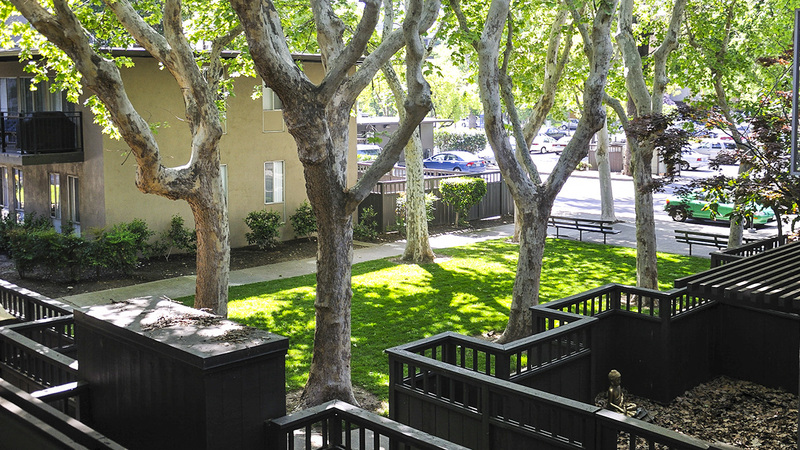 Several public courts, one of which is sunken, are located throughout the complex and typically feature grids of shade trees interspersed with wood-slat benches. Located at the center of the property are a plaza, swimming pool, and the high-rise tower. 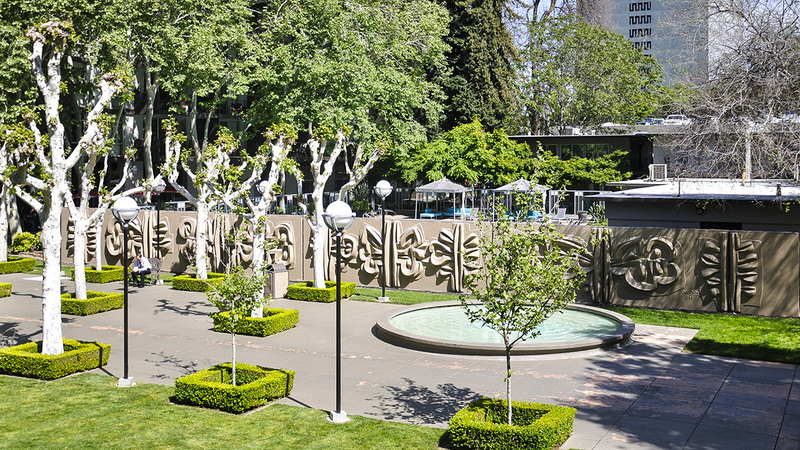 The central plaza features a grid of London plane trees set into concrete pavers, a low circular fountain at its southeast corner, and, at its eastern edge, a 100-foot-long cast concrete sculptural wall designed by artist Jacques Overhoff. One laundry building is located north of the high-rise tower, with a second at the southwest corner. 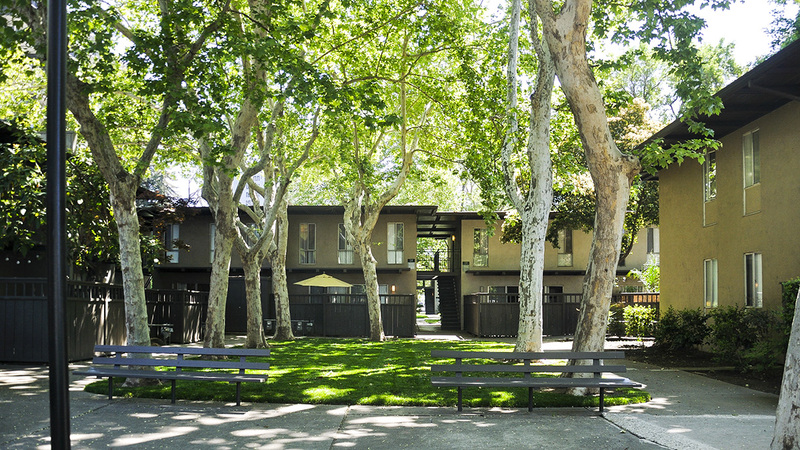 Another structure at the northwest corner has been converted into a lounge for residents. The complex was listed in the National Register of Historic Places in 2015.